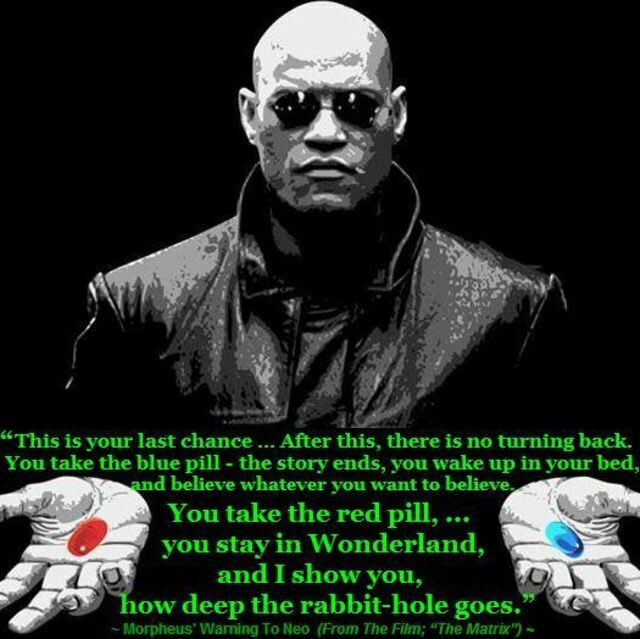 You take the blue pill –the story ends, you wake up believing what you’ve been conditioned to believe. You take the red pill –you stay in Wonderland, and I show you how to question what you think you believe using knowledge, freedom, passion, and the painful truth of reality. First, ask yourself: would you rather choke on the red pill of Truth, or easily swallow the blue pill of Deception? Sure, ignorance is bliss and knowledge is pain, but wouldn’t you rather the pain that comes from knowledge than the bliss that comes from ignorance? Wouldn’t you rather be slapped with the truth than kissed with lies? The next time you get pulled over, watch for a blocky, black gadget attached to the officer’s iPhone. That’s the MORIS device, one of many mobile fingerprint and biometric scanners proliferating in police departments around the country. MORIS is designed to ascertain identity and dig up an unsavory past, but that’s not all: the device can also gather iris scans, fingerprints, and photos searchable with face recognition technology. Perhaps there’s some sort of greed gene that prompts compulsive outbreaks of financial graspiness by giant bankers. How else to explain the chronic gouges, excesses and scandals that we’re getting from this one, small subgroup of human beings? Their latest reach is into the pockets of low- and modest-income college students who need federal student aid to help cope with today’s ever-escalating education costs. For decades, this financial assistance has come in the form of simple checks written to the students by the aid program or administered directly by the schools. But, of course, such straightforward simplicity begged the obvious question: How can we expect Wall Street bankers to grab a chunk of this student education money if it’s not routed directly through them? We give prison sentences for smoking marijuana, but not for billion-dollar fraud. About half of our world-leading prison population is in jail for non-violent drug offenses. Americans have also been arrested for handing out free food in a park. Mothers in Ohio and Connecticut were jailed for enrolling their kids in out-of-district schools. 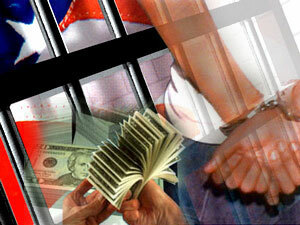 As of 2003 in California there were 344 individuals serving sentences of 25 years or more for shoplifting as a third offense, in many cases after two non-violent offenses. How does the market deal with this steady tide of petty crime? It strives for more. The new trend of private prisons is dependent on maintaining a sizable prison population to guarantee profits, with no incentive for rehabilitation. We’ve betrayed the young people who were advised to stay in school. Over 40% of recent college graduates are living with their parents, dealing with government loans that average $27,200. The unemployment rate for young people is about 50%. More than 350,000 Americans with advanced degrees applied for food stamps in 2010. Monsanto and the EPA swore that the genetically engineered corn would only harm insects. The Bt-toxin produced inside the plant would be completely destroyed in the human digestive system and would not have any impact at all on consumers, they claimed. Alas, they’ve been proven wrong on that account as well, because not only is Bt corn producing resistant “super-pests,” researchers have also found that the Bt-toxin can indeed wreak havoc on human health.